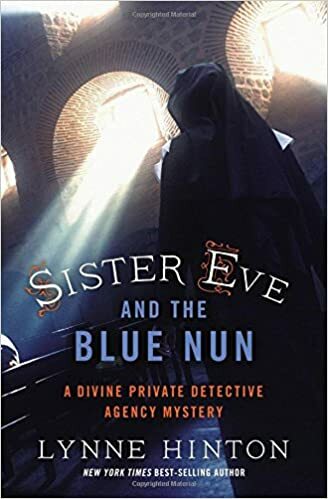 While visiting her old monastery for a speaking convention on the Blue Nun, Sister Eve comes across a murder at the monastery. Sister Eve is a private detective with the uncanny ability to solve murder and she takes on the case when the victim is the sister of her friend. She must prove that the young monk isn't the killer when all the evidence points to him and he disappears. On her journey, Sister Eve is debating whether or not she should continue the life of the cloth or become a private detective with her dad. The book was an interesting read but I can't say I am a big fan of it. The main character's father seemed sexist and the nun herself has questionable values. The characters don't really seem believable and most of the book was a bit of fluff. Only towards the end you really find any of the excitement but it wasn't enough to redeem the book. Also, she can't really claim herself a detective since she had no clues to actually point to anything related to the murder other than one thing a person had said.